Pinchy Jeek Barl by Anderson Valley is an 8.5% ABV Pumpkin Ale brewed with pumpkin and spices and aged in Wild Turkey Bourbon Barrels. So I bought this beer since I wanted to try some of the other Wild Turkey Whiskey/Bourbon beers from Anderson Valley. So far the best one is the stout but even then, a lot of the beers I have tried from them in this category are like gateway beers. Very good beers with very good amount of flavors but not as strong or deep complexity of some of the similar styles I have tried. We are almost approaching the Fall in September so I figured, why not start early on something light that is a pumpkin beer and at the same time, bourbon barrel aged. That and the fact that there aren’t many Pumpkin Bourbon Barrel Aged beers out there and the many I have tried are insanely awesome. Let us see how this one holds itself. Cheers! Pumpkins, vanilla, caramel, hints of candy corn, pumpkin pie, brown sugar, butterscotch, mild chocolate, ginger bread, toffee, allspice, cinnamon, clove spice, bourbon and whiskey hints, marshmallows, coconut hints, mild banana hints, molasses and mild oak. Cinnamon, pumpkins, caramel, vanilla, all spice, ginger bread, toffee, bourbon, marshmallows, coconut, note of flan, molasses, oak hints, toffee, rye bread, whiskey notes, candy corn, clove spice, ginger spice, mild chocolate, graham crackers, butterscotch, brown sugar, pumpkin pie and banana hints. Pumpkin, allspice, cinnamon, earthy notes, caramel and ginger bread. No alcohol in the taste, medium drinkability, medium mouth feel, medium to full body. This one is very good for a bourbon pumpkin ale. It is not comparable to the crazy Jacked from Uinta. Now that beer is insane pumpkin goodness. However, this is still a pumpkin bourbon aged beer and gets better as it warms up. 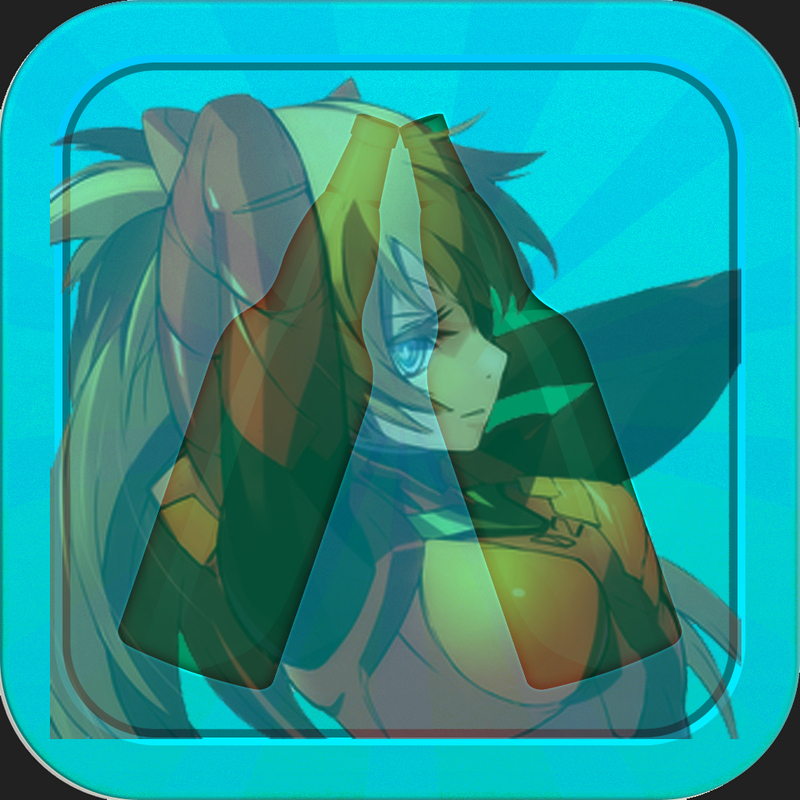 I think the fact that it doesn’t reach that full body and complexity has to do with what they are going here. This beer seems like a session bourbon pumpkin ale. 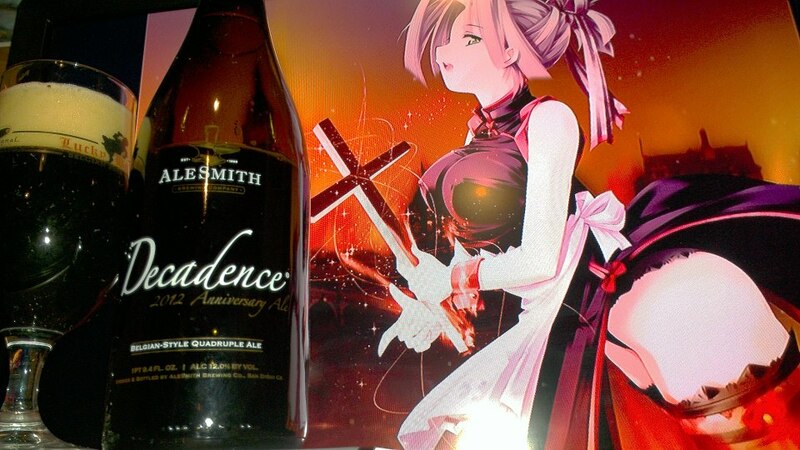 Which works great but do not be expected to be blown away like some stronger potent beers. For the fact that this one holds its own in terms of maintaining some of the flavors you would expect from a bourbon barrel aged pumpkin beer, for it does awesome!. Meaning, that for those that are barely getting into craft beer and wanted a gateway into the pumpkin bourbon barrel aged beer, this is great for you. So I would only recommend it if you are just looking to try a lighter version of a pumpkin bourbon beer and not a full force in your face pumpkin bourbon barrel aged beer. 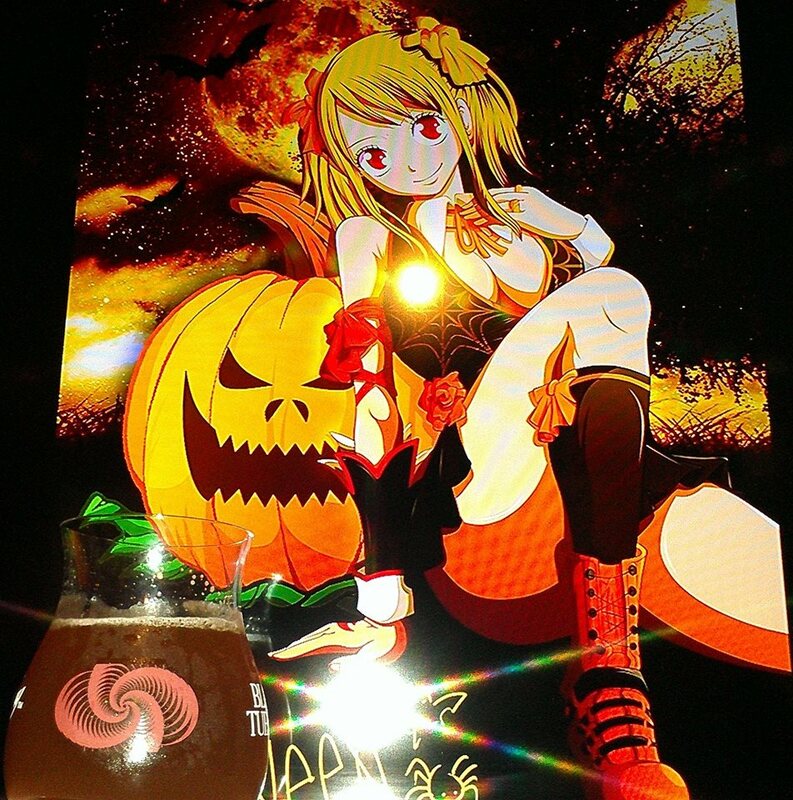 Original character was used in this pairing to pair with the the whole pumpkin beer aspect and different things made with pumpkin. I figured the whole cat feeding the girl with a lot of pumpkin is lie fattening up a turkey for thanksgiving. While it may seem mean, it surely isn’t stopping her from eating and super cat here surely has them Jack O Lantern powers of seduction. Either way, I figured it fit with the while Wild Turkey, fall eating and so forth. 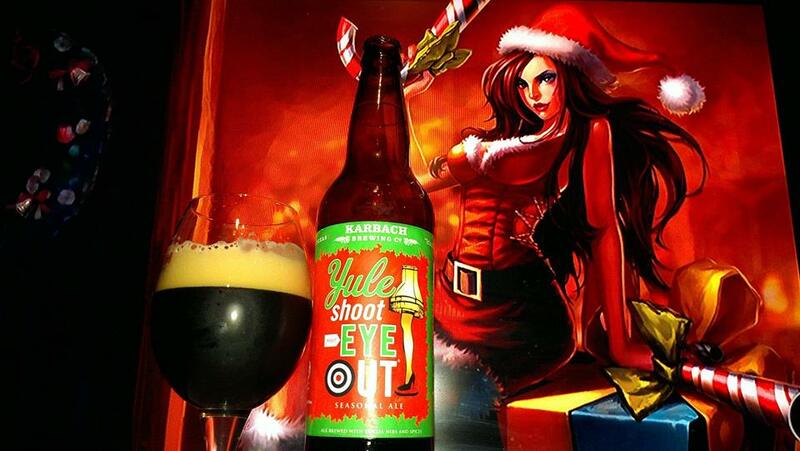 Yule Shoot your Eye Out by Karbach Brewing is an 8%ABV Spiced beer brewed with cocoa nibs and spices . Another awesome seasonal from Texas provided by my friend Aaron at www.beermetaldude.com This time it is a Christmas beer. First time trying Karbach brewing so I am exited. This is normally not sold in California so if you want to get this one, good luck. If you are lucky, then you should definitely be in for a treat. Cinnamon, nutmeg, ginger bread, dark fruit hints, fruit cake notes, caramel, toffee, mild chocolate notes, coriander spice, herbs and peppercorns. Caramel, ginger bread, grapefruit, earthy hops, citrus, coffee notes, cinnamon, fruit cake, coriander spice, pecan notes, peppery spices, herbs, dark chocolate notes, raisins, orange peel, biscuit bread and butterscotch. Dark fruit notes, earthy and citrus hop bitterness, peppery spices, cinnamon and caramel. Easy to moderate drinkability, no alcohol in the taste and medium mouthfeel. A very good beer to try. It is a lot like a winter Black IPA almost since you get a good amount of hoppy bitterness along with some winter spices. Cocoa nibs are subtle but come out as the beer warms up. 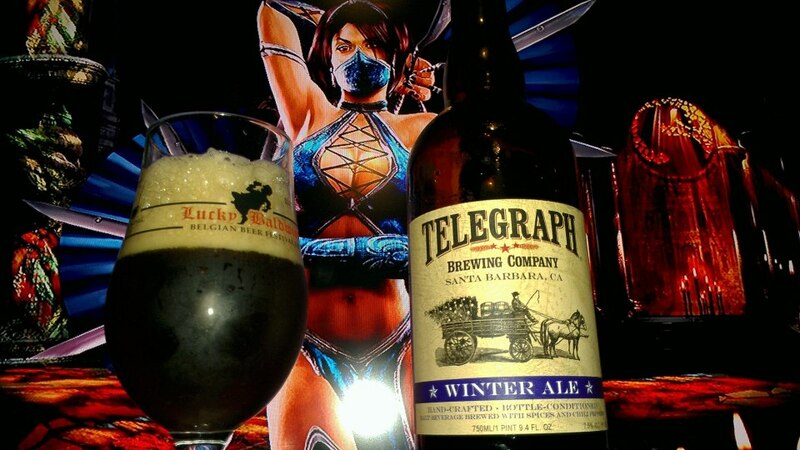 Worthy of a try as it is an interesting winter beer. Very good stuff. Candy Cane Miss Fortune from League of Legends was included in this pairing to represent the Spirit of Christmas but also the beer itself. I wanted to find something that related to Christmas and Shooting. This girl is packing heat and those are not Candy Canes. She will shoot your eye out especially if you look at her the wrong way. Merry Christmas ya filthy animals! 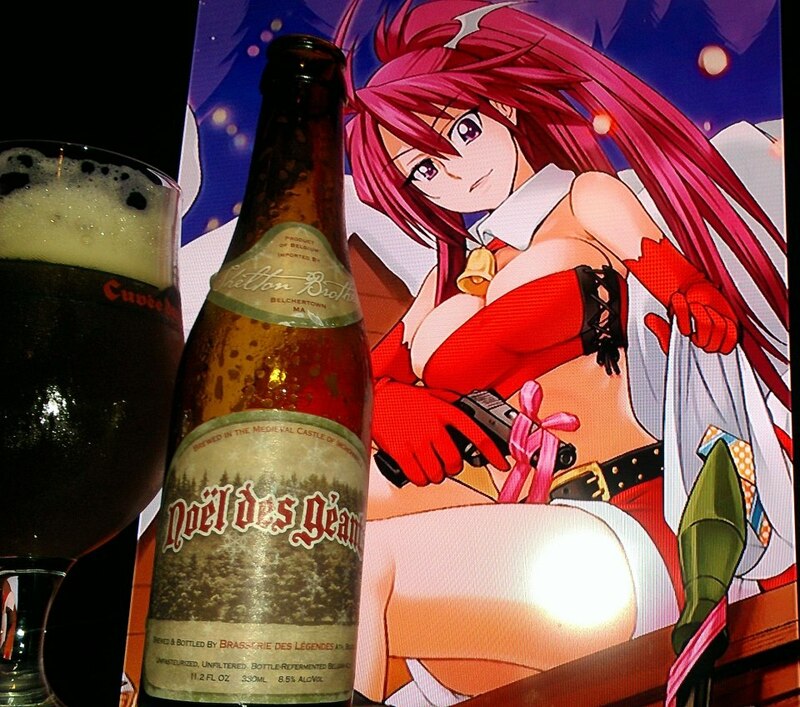 Noël Des Géants by Brasserie Des Légendes is a 8.5% ABV Herbed and Spiced Belgian Pale Ale. Brewery of legends makes beers in a medieval castle in a small French speaking town in Belgium. My friend Rich got this beer a while back. It looked pretty good so I had to find it. Unpasteurized, Unfiltered, Bottle-Refermented Belgian Ale. The Brasserie Des Légendes is housed in a medieval castle in the town of Irchonwelz, in the French-speaking south of Belgium. Its majestic gate stands high to allow the passage of the occasional visiting giant … as the town is famous for its annual giants parade. Belgian and Ginger bread with dark fruits such as plums and raisins are noticeable fore front. Some minor coriander spice and orange peel are in there. Along with some Christmas spices like nutmeg and cinnamon. It has some delicious flavors in the back of caramel, sun flower seeds, mint, pecans and hazelnuts. The beer is fairly a sipping beer, but the alcohol is nowhere to be found and is well masked. Belgian beer people, see if you can find this one later this year. This one is from last year. Just the fact that you are drinking something that was made in a medieval castle….well…damn …that is just legendary! !